Much of William Chafe's professional scholarship reflects his long-term interest in issue of race and gender equality. His dissertation and first book focused on the changing social and economic roles of American women in the fifty years after the woman suffrage amendment. Subsequent books compared the patterns of race and gender discrimination in America. His book on the origins of the sit-in movement in North Carolina helped to re-orient scholarship on civil rights toward social history and community studies. Chafe has written two books on the history of post-World War II America, a major new overview of 20th century America (The Rise and Fall of the American Century), a history of personality and politics in modern America (Private Lives/Public Consequences), and a biography of the liberal crusader Allard Lowenstein. Most recently, he has expanded his interest in the relationship between personality and politics by writing Bill and Hillary: The Politics of the Personal. He is currently working on a revisionist overview of the Jm Crow era to be entitled Behind the Veil: African American Life During the Age of Segregation. The author of thirteen books overall, he has received the Robert F. Kennedy Book Award (1981) for Civilities and Civil Rights: Greensboro, North Carolina and the Black Struggle for Freedom (1980), the Sidney Hillman book award (1994) for Never Stop Running: Allard Lowenstein and the Struggle to Save American Liberalism (1993), and the Lillian Smith Award for Remembering Jim Crow (2003). In 1990, Chafe became chair of the History Department.Between 1995 and 2004, he served as Dean of the Faculty of Arts and Sciences and Vice-Provost for Undergraduate Education. In 1999, he was elected to be president of the Organization of American Historians. Along with Lawrence Goodwyn, Chafe co-founded the Duke Oral History Program in 1972, and the Duke Center for the Study of Civil Rights and Race Relations. 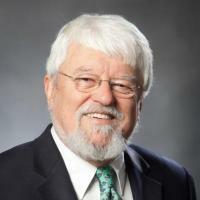 He also helped create the Duke-UNC Center for Research on Women in 1981. . In 1989, he was one of the founders of the Center for Documentary Studies, and served as it board chair for fifteen years.